Africa Juice Job Vacancies 2018-2019: Africa Juice has recently publish an advertisement notification for Standards and Systems Manager, Head of Quality Management, E&S Section Head, etc. jobs opening for March 2018. Africa Juice would like to invite qualified candidates for the following position. 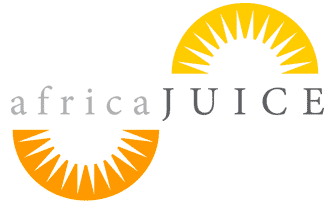 africaJUICE is a dynamic young company that has set targets to become a major producer and exporter of tropical fruit juices from select countries in Africa to the large markets of Europe and the Middle East, as well as local and regional customers. Our strategy is to develop and operate our own plantations. This provides a secure fruit supply to our juice processing facilities and enables ongoing optimisation of agricultural practices to achieve maximum yields and high quality levels. We will also support the development of efficient and reliable outgrowers (contract farmers) to increase the supply of fruit to our processing facilities thereby limiting the need for further capital investment. BSc/MSc Degree in science, finance, accountancy or business or a related qualification./ Diploma/Degree in science, business, quality management or related qualification./ Diploma/Degree in Social and / or Environmental Sciences or related qualification./ BSc/MSc Degree in science, finance, accountancy or business or a related qualification.